‘Achieving Transformational Care’ clarifies misconceptions, shares insights, best practices and strategies on how to optimise existing resources, redefine workflow and utilise technology to achieve quality and meaningful patient-centred care that is sustainable as opposed to ‘current common practices’ of applying stopgap measure to symptoms. A common request I get from consulting clients on ‘transformational care’ projects is for a ‘standard template’ to help stakeholders in their ‘implementation’. Unfortunately, while there are fundamental principles and concepts that one should be familiar with before undertaking such an initiative, there is definitely no cookie-cutter solution that one can take and hit the ground running. Before I elucidate the core knowledge, there is one very important hurdle to clear – understanding what is transformational care? So what exactly does transformational care constitute of? 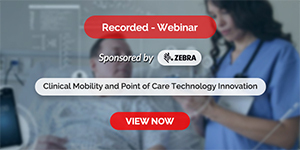 Is transformational care achieved by adopting technology? Is transformational care attained when a healthcare institute achieves HIMSS EMRAM Stage 6 or Stage 7 recognition? The main point here is if you don’t know where you are going, you will never get there and this is the fundamental ‘Achilles Heels’ of many healthcare organisations in their quest for transformational care, resulting in unhappiness among relevant stakeholders (that usually develops into a vicious cycle of disgruntlement so watch out there). Now back to the question - what exactly does transformational care constitute of? Well, keep this question in the back of your mind; we will revisit it in the middle of this article. For the purpose of this article, we will examine five simple guidelines that scratch the surface of this subject (it is a very big topic). The first and perhaps most important guideline is - there is no cookie-cutter solution and I cannot emphasise this enough. To read deeper into this, it really just translates to - there is no utopia. Hence it is paramount that one stop looking for the perfect technology / product / workflow / staff at zero cost while expecting additional freebies to be thrown in. But seriously, it is important to stop looking for solutions that do not exist and start focusing on how to solve the underlying problem.There is no such thing as ‘better, faster, yet cheaper’, compromises are at many times, a harsh reality of life so the earlier one learns to deal with it, the better. This is perhaps the most common mistake people make (regardless of situational context) when trying to fix a problem – mistaking the symptom as the problem. This poses many downstream problems since the underlying cause was never rectified. Hence the next time a problem is identified (be it workflow or technology related), spend some time analysing the issue at hand. If time permits, perform a Root Cause Analysis to determine the real problem. This will minimise Band-Aid solutions from being applied. By technology, I refer to both IT and Health Informatics (yes, they are different) but in order for ‘an enabler’ to work, there must be something for it to enable. This is the reason why the term GIGO (a phrase in the field of computer science) is such a popular catchphrase among techies. GIGO stands for Garbage In, Garbage Out, which essentially refers to the fact that computers (or in this case, technology) operate by logical process and will unquestioningly process unintended, even nonsensical, input data (Garbage In) and produce undesired, often nonsensical, output (Garbage Out). Power-tools in the hands of a kid will result in disaster – maybe even to the kid too. The main point here is, if you are implementing health informatics as part of your transformational care strategy (which you will), get a real Health Informatician. The frequent mistake healthcare organisations make is thinking that Health Informatics is the same as IT – it is not. As a matter of fact, health informatics is a very different discipline that happens to use IT as a tool (just like the banking industry, the logistical industry or even the food and beverage industry). Note: For more information about the differences between ‘IT in Healthcare’ versus Health Informatics, please refer to the article Excuse Me, Are You a Thought Leader? Lastly, before you get attracted by the bells and whistles of any technology, work on getting your Health Informatics Standards right to achieve Semantic Interoperability. This is crucial in enabling Clinical Decision Supports, Analytics, EMR adoption etc. Applying the lessons of lean and the Toyota Production System, ThedaCare created the ThedaCare Improvement System. Leaders engage staff in week-long process improvement projects that have reduced costs, eliminated waste and improved patient outcomes. From 2006 to 2009, TIS enabled ThedaCare to increase employee productivity by 12 per cent, saving the hospital more than US$27 million. For example, ethernet cable, a thumb drive or wireless network etc. For example using pre-agreed / defined industry standard format like XML or SQL etc. To better illustrate my point, I would need to quote Charles Mead- ‘Syntactic interoperability guarantees the exchange of the structure of the data, but carries no assurance that the meaning will be interpreted identically by all parties’. So why is semantic interoperability important? For starters, clinical classification & terminologies are pretty confusing and without semantic interoperability, a computer will have difficulty interpreting problem list, procedure list & results, progress notes, diagnosis, medication etc. As mentioned earlier, semantic interoperability is crucial in enabling Clinical Decision Supports, Analytics, EMR adoption etc. and you will need to (properly) adopt healthcare informatics standards and terminologies to facilitate semantic interoperability. This is not an easy feat so be sure to engage a real health informatician. Workflow can ‘make or break’ many things, be it the healthcare organisation’s daily operation, technology adoption and yes, even attempts to achieve transformational care, but what exactly is workflow? I have realised over the years that people (especially those who have never worked in any clinical settings) tend to confuse workflow with use-case and/or process, while the three concepts are somehow related; they are definitely not synonyms of the same concept. It is important to stress that healthcare organisations must learn to optimise workflow in order to achieve sustainable, contextually effective adoption of technology (be it IT or health informatics) to aid their transformational care initiatives. So, What is Transformational Care? After covering the five simple guidelines (do note that while we only covered five, there are many more guidelines), we need to revisit the question – What is Transformational Care? Briefly described, healthcare organisations imbued with principles of transformation care would deliver quality health services that improve the experience of their patients as well as their family and visitors. Such experiences are achieved by creating and delivering values that not only improve patient’s health outcomes but also the way health services are accessed as well as how patient care is delivered. As one can see from the illustration above, transformational care is not better customer service, nor is it just treating the patient with respect, rather, it encompasses all these and more. Importantly, involving the patient as a partner in managing their own health and well-being. Little coordination amongst health facilities, each contained in its own silo, patients receive no continuity of care. Patient-centred care on the other hand, is a primary care practice where a partnership is established among practitioners, patients, and their families (when appropriate) to ensure that decisions respect patients’ wants, needs and preferences. Patients’ input on the education and support are also solicited as they need to make decisions and participate in their own care. The second most common request I get from consulting clients on ‘transformational care’ projects is to provide training on ‘Innovation’ since this plays a big role in transformational care. While innovation itself is a major topic, it is important for me to provide a few insights pertaining to innovation. Innovation need not be delivered in a ‘Big Bang’ manner. Incremental innovation resulting in effective workflow can be achieved when one is able to utilise the capabilities of existing solutions in their environment, suiting their contextual needs – the key lies in understanding the workflow involved and utilising existing resources to achieve transformational care. This article serves as a prelude to the upcoming book of the same title. For more details pertaining to the book, please visit www.binaryHealthCare.com. IEEE standard computer dictionary: a compilation of IEE standard computer glossaries. 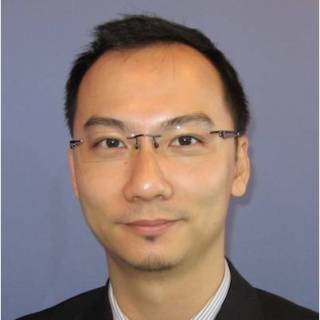 Adam Chee is the Chief Advocacy Officer of binaryHealthCare, a ‘purpose-driven’ boutique consulting firm offering training, advisory on technical and business strategies, specifically addressing the eHealth domains within (but not limited to) the APAC and Middle East region while serving to ‘Bridge the eHealth Divide’ by empowering stakeholders in both developed & LAMI counties on effective, sustainable adoption of Health IT as an enabler for ‘better patient care at lower cost’.